29-year-old Sonya* came to see me for help with Polycystic Ovarian Syndrome (PCOS) and Irritable Bowel Syndrome (IBS) which had both been diagnosed by her GPs many years ago. She had been taking different medications over the years for both of these conditions, but had not seen much progress or relief in her symptoms. They were also causing her to experience significant unpleasant side effects and so had to keep ceasing and changing her medications. Ever since being diagnosed with PCOS and IBS, Sonya had been experiencing daily anxiety, fatigue and insomnia, which are commonly seen in people who have both of these conditions. She was understandably overwhelmed and exhausted, but hopeful that a more wholistic approach to her conditions could offer some relief and a deeper look into the underlying causes of her symptoms. While gathering all the background to Sonya’s health and medical history, it became apparent that Sonya had in fact been experiencing digestive issues such as bloating, alternating constipation and diarrhoea, cramping and excessive flatulence, since she was a young teenager. These digestive symptoms had become considerably worse after a bout of food poisoning when she was travelling overseas. Sonya had taken the oral contraceptive pill (OCP) from the age of 14 until she was 25 years old. She became very distressed when she stopped taking the OCP and her periods didn’t come regularly. In fact, she was lucky to have 8 in a year. She also developed facial and body acne. Along with everything else, this was very distressing. Sonya had some baseline testing done with her GP for hormones, inflammatory markers and iron studies. Due to her history, I ordered a comprehensive DNA stool test, called the GI Map, to assess the levels of good and bad gut microbes that may be influencing her current symptoms. Also, I was looking to rule out any involvement of parasites, pathogenic bacteria, worms, yeast and fungi that may have been causing her digestive distress. While awaiting the results, Sonya followed an initial naturopathic treatment plan. This included herbal medicines and nutritional support to reduce her daily digestive symptoms, as well as to improve her sleep quality and reduce her anxiety. Stool testing revealed that Sonya had significantly low levels of ‘good’ bacteria in her gut microbiome associated with insulin sensitivity (a key feature of PCOS), as well as overgrowths of bacteria that are associated with inflammation. Sonya was placed on an individualised treatment protocol with specific probiotic, prebiotic & anti-inflammatory treatments to repopulate the levels of good gut bacteria, and a low FODMAP diet temporarily whilst healing her gut. Sonya was educated on the importance of eventually reintroducing FODMAP foods back into her diet once her gut microbiome and digestive function had improved, as it is only a short-term strategy for symptomatic relief while dealing with the more significant underlying issues. Sonya’s blood tests with her GP showed high insulin resistance, high testosterone and high inflammatory markers. 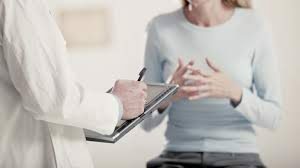 These sorts of results are common in PCOS, although are not always present in every case, thus the importance of testing rather than assuming. She was prescribed targeted herbal medicines along with diet and lifestyle support to assist in improving her insulin sensitivity and reducing inflammation, with the aim to see her periods become regular and reduce her acne breakouts. I met with Sonya one month after starting her comprehensive plan. She was happy to report that her digestive symptoms had significantly improved – she was having regular and easy to pass bowel motions and was not experiencing bloating or cramping. Sonya was feeling much more energetic, her mood had improved and she was sleeping through the night. Her period was running late but her acne had calmed down slightly. We discussed the importance of sticking to our treatment plan long-term as these symptoms of PCOS need time to see improvement. Sonya continued her treatment plan for the next 12 months and was happy to report that within 6 months she had started to have noticeably regular periods that were pain free, and her skin had dramatically improved with no more breaking out. Sonya continues to take gut-healing supplements and an individualised herbal medicine to this day, to ensure she is in the best state of health possible.